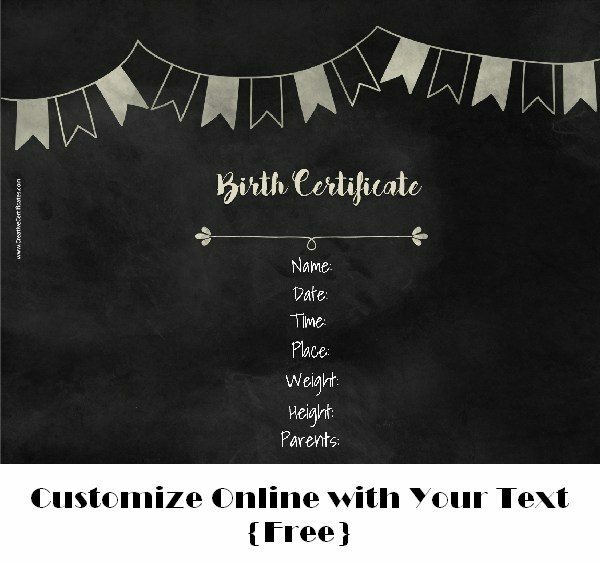 Select a birth certificate template then customize the text and add your own photo with our free birth certificate creator. 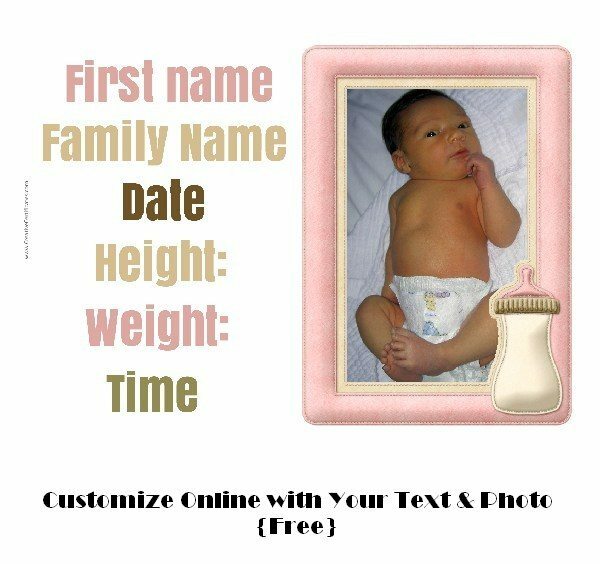 You can either add a photo of the newborn baby or of her hands or feet. 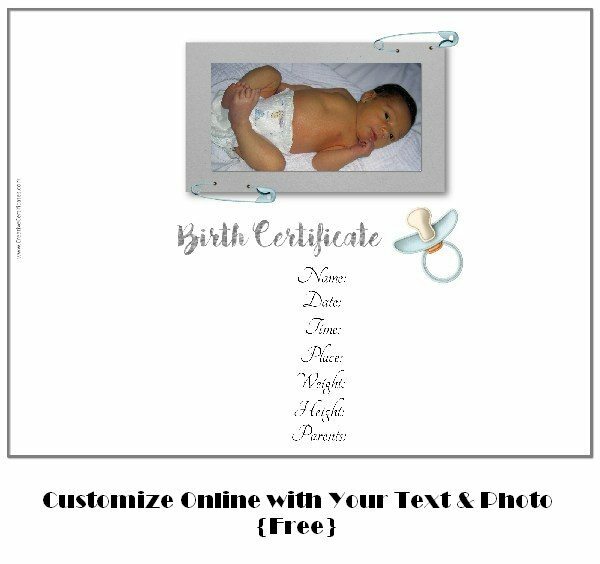 To customize this birth certificate template click on the clock to change the time. Click on the scale to change the weight. Click on the text next to the ruler to change the height. 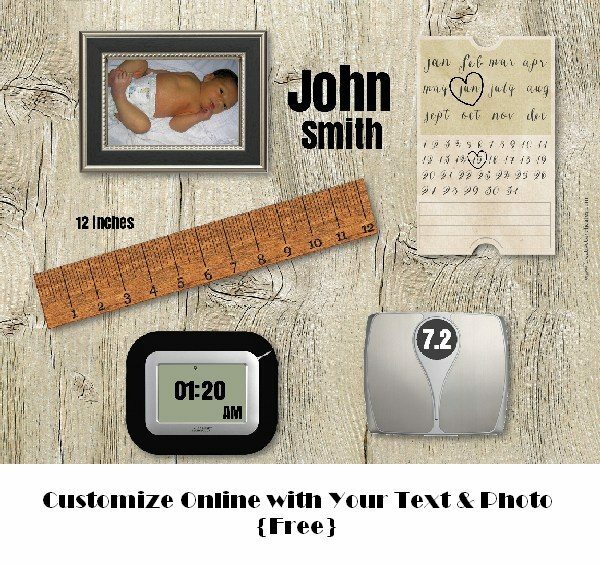 Move the hearts on the calendar to mark the month and date that the baby was born. 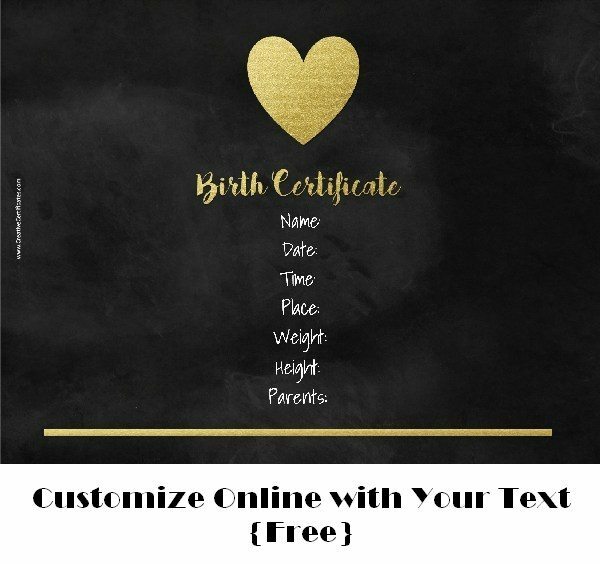 Please note that this is a fake birth certificate maker to create a pretty fake birth certificate template that you can hang in your nursery or give new parents as a gift. 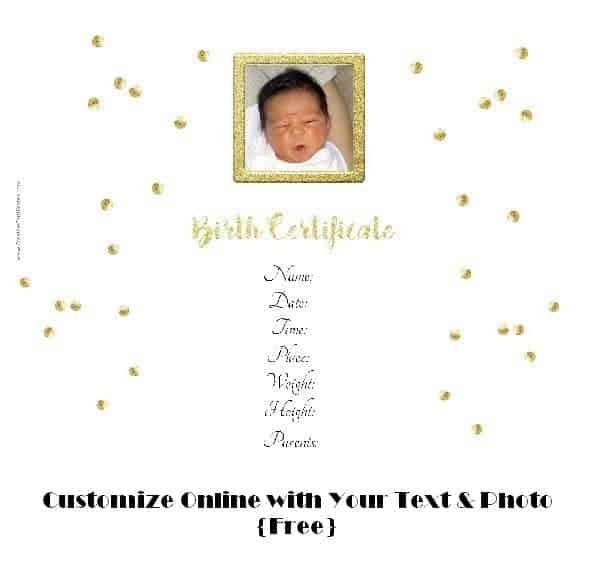 This is not an official birth certificate. 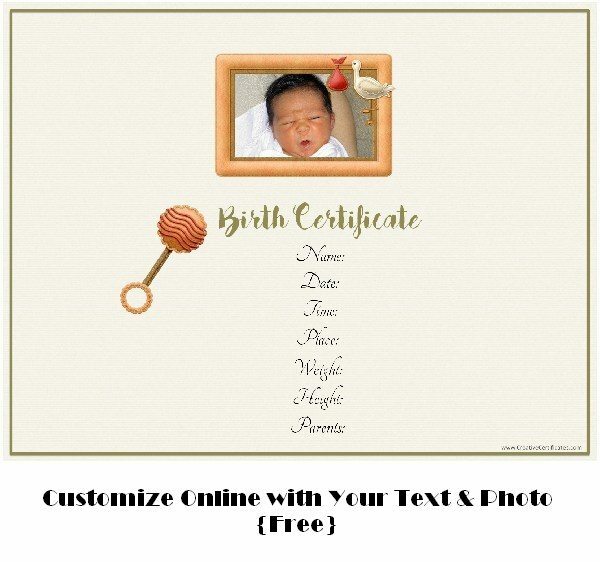 How to Customize the birth announcements or birth certificates? 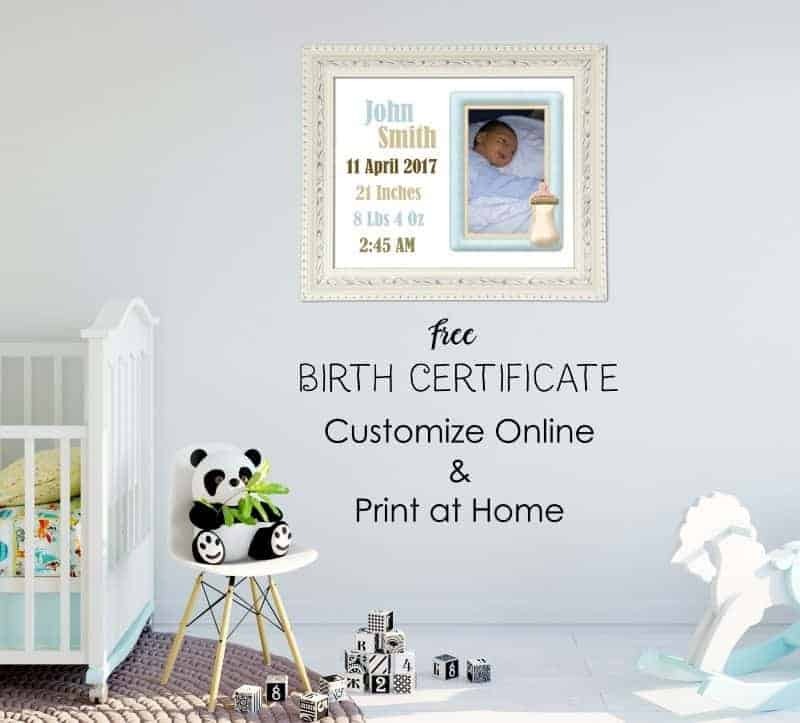 Select a birth certificate template from the selection above. Double click on the dummy text and replace with your own. Do this for each line such as date of birth, time of birth, height, weight, first name, last name, parents’ names, etc. If there are any details that you don’t want to include then just click on the x to erase that line. If there are details that you want to include that have not been included such as the baby’s religion then click on the A to add more text. Type the text that you want and drag it to the correct location. You can also make it larger or smaller so that it looks like the rest of the text. To add your own photo click on “add photo” and select the photo that you want to use. 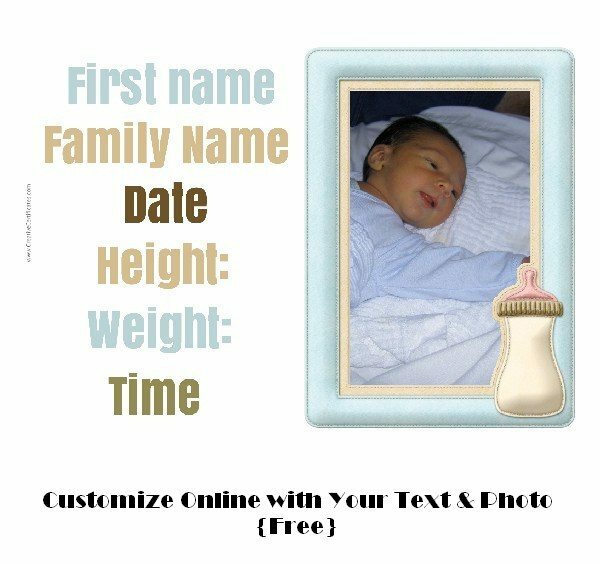 Move the photo around and make it larger or smaller if you need to so that it fits well in the frame.You can either add a photo of the newborn baby or of her hands or feet or even her fingerprint or handprint. 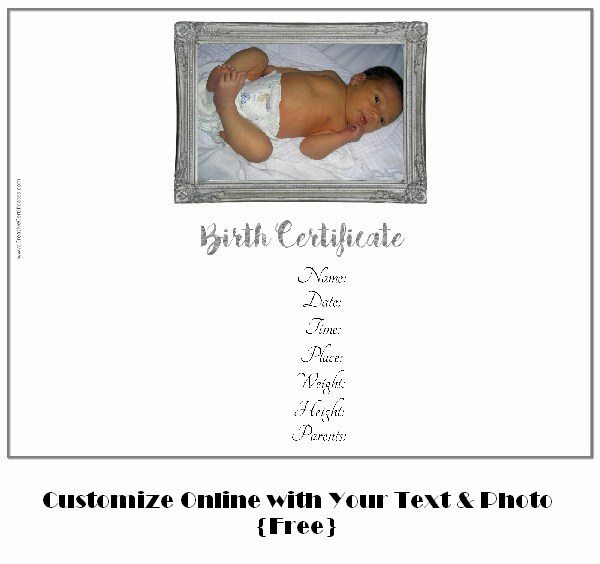 Download and/or print the birth announcement. Click on the cloud icon to download as an image or the page icon to download as a PDF or the printer icon to print. Please note that the “heavier” certificates can only be downloaded as a PDF document and not as an image. 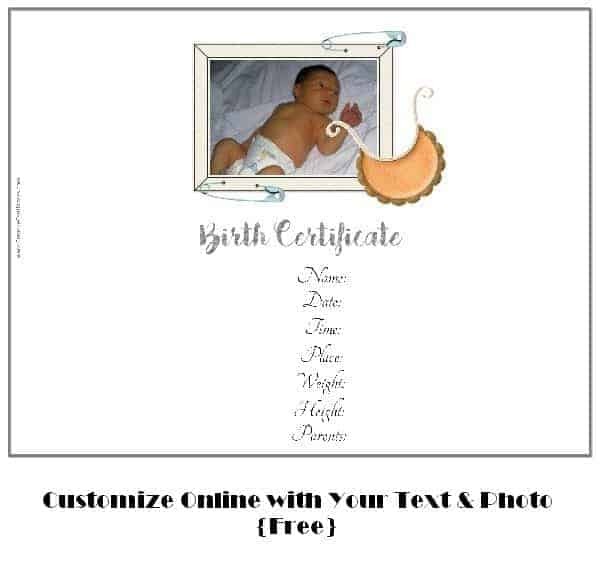 How to create an invitation with these templates? 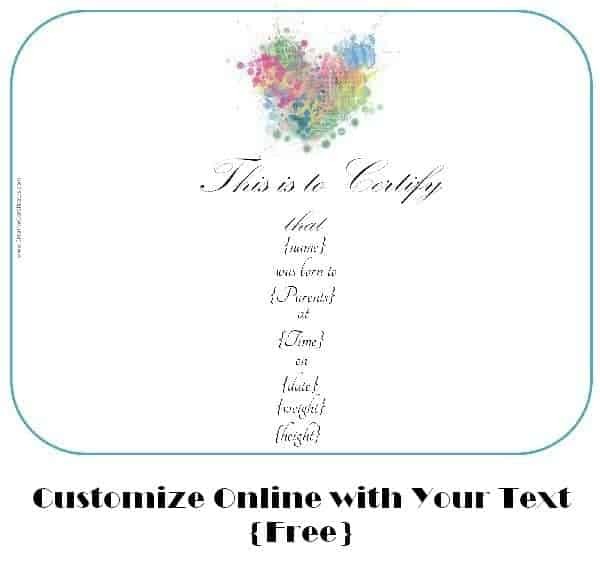 Follow the instructions above to edit the text and adapt it to your needs. To add the details of your event such as the location, date and time click on the “A” to add more text. Type the details of the event and drag the text to the correct location. 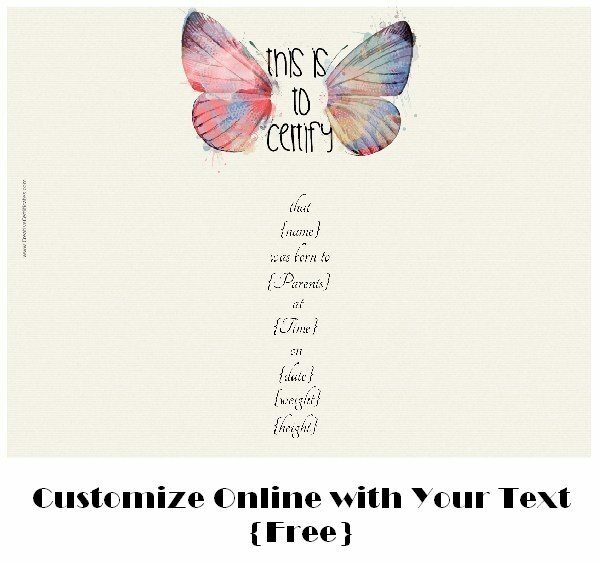 You can also make it larger or smaller so that it looks like the rest of the text. 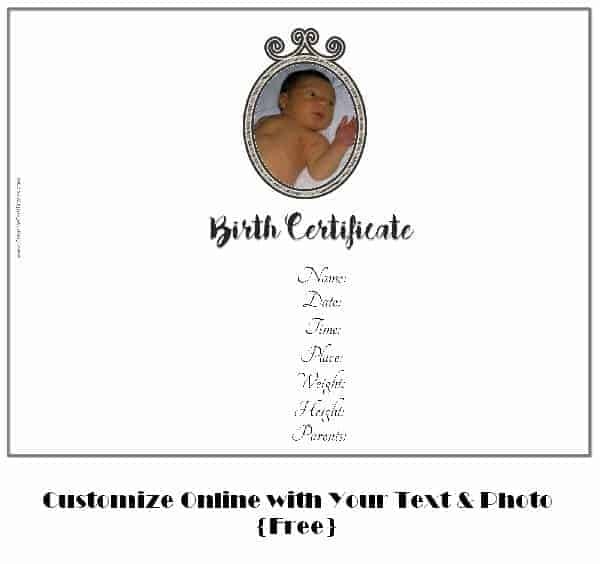 How to make a blank birth certificate? Erase the text boxes by clicking on the little x on each text box. 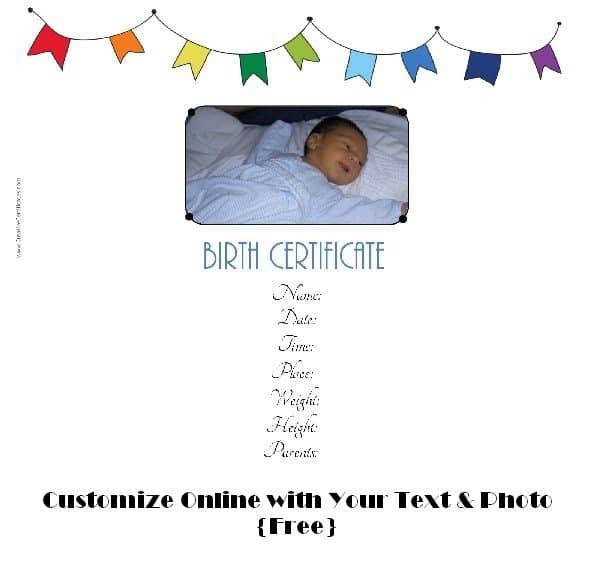 Download or print the blank birth certificate.